Have you ever bought a stamp set just because you loved it, but then found yourself struggling for ideas and different ways to use it? Check out these Inspiration collection Tutorials! Available free (your choice) with a min. purchase of $50 in my online store, now thru May 31 only! 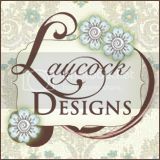 Each features one stamp set…with four fantastic card ideas…using all Stampin’ Up! Products available in my online store. The projects are easily reproducible (or adaptable to the supplies you have on hand) and feature a host of different techniques as well as some some out-of-the box ideas for using your stamp set. IMPORTANT NOTE: Orders placed April 25 – May 31. Please email me with your choices. The Everything Eleanor Creative Inspiration Collection brings you four fantastic card ideas featuring Stampin’ Up!’s Everything Eleanor stamp set (#124162 wood, #1124164 clear), and using all Stampin’ Up! product. The Lacy & Lovely Creative Inspiration Collection brings you four fantastic card ideas featuring Stampin’ Up!’s Lacy & Lovely stamp set (#122885 wood, #122887 clear mount), and using all Stampin’ Up! product. The Betsy's Blossom Creative Inspiration Collection brings you four fantastic card ideas featuring Stampin’ Up!’s Betsy's Blossom stamp set (#122885 wood, #122887 clear mount), and using all Stampin’ Up! product. Traditional scrapbooks are created by a single person who chooses what to scrapbook, the layout, photo selection, and journaling. With Memory Jar Scrapbooking, you can help your customers get their whole family involved! They can set the charming Memory Jar on a counter, desk, or mantle and place little scraps of paper and a pen nearby. Each member of the family, and even visiting friends, can add a little note. Help your customers to imagine reading favorite adventures from the kids’ point of view in their handwriting, love notes from your sweetie, ticket stubs from a favorite movie, a quick scribble about something silly the kids say, or how tall they were at their check-up. Capture and preserve all the memories that make up everyday life – all from a variety of perspectives. Now that’s a team effort which will develop into a meaningful scrapbook! So let’s get started! Ombré is a French word meaning to shade. In art it means beautiful color gradation! Color is an amazing thing! It sets a mood, shares a feeling, and can even brighten your day. This tutorial is all about using a variety of ombré techniques along with some of your favorite stampin’ supplies to make cards that will amaze your friends when you add this technique to you next card. It’s an easy technique that offers impressive results. Let’s dive into some color fun! You know not to judge a book by its cover – now you know not to judge a kit by its basics! Kits are great for making the artist-designed projects quickly - they are even better as a jumping off point for your creative fun! The Boutique Boxes Designer Printed Kit includes instructions for 8 simple boxes and note cards - perfect when you need a quick gift. This tutorial shows how you can create more! A gift box for a friend, a masculine card, a treat box for a thank you gift, a gift card holder that shows your special attention, and more! All from an inexpensive kit you’ll want to keep on hand for last-minute gifts and also make stepped up versions ahead of time to be ready when you need special gifts. You’ll love impressing your friends with gifts that look like a million bucks - you don’t have to tell them it all started with a kit! Enjoy the girly Alternate Project Samples created from the Pop-up Posies Designer Kit for some feminine “wow” factor and even more fun ideas for creating with kits! The retirement list is out. Some Great stamps are leaving! But like in life...we need to let go of the old TO be open for the new! I think we have some great stuff coming our way! Hundreds of stamps and accessories from the 2012-2013 catalogs are retiring, and this is your chance to get them before they're gone! Check out all the great discounts and retiring colors! Many products are only available while supplies last, so be sure to get your orders in early. Don't miss out! Retired List products are available April 24-June 3, 2013. All accessories are only available while supplies last. Order online to avoid disappointment. Retirement list comes out tomorrow! Accessories are "first come first served" and many of the retiring colors have already sold out. Better yet... 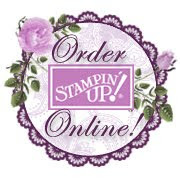 IF there is an accessory in the Stampin' Up! catalog that you know you will not be able to live without, ORDER IT NOW and don't take a chance that it will be sold out if you see it on the Retiring List on Wednesday. I got these Banners from Patty Bennett. I love the way she has presented these colors! Thank you Patty! Make sure that you don't wait...tomorrow the retirement list will be out and EVERYONE will be making their orders!